Your marimo will grow in room temperature tap water, changed every one to two weeks, depending on the season— more frequently in the summer less in winter. In especially hot weather, you can cool your marimo in the refrigerator, above 25°C. 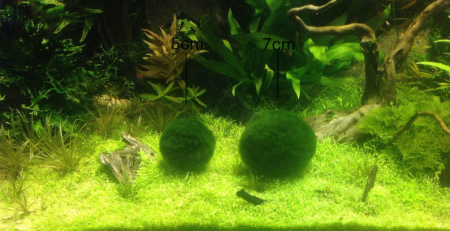 Indirect sunlight is best for growing marimo, as they’re adapted for low light conditions. 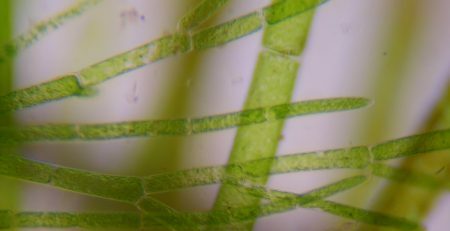 They can be immersed in club soda water to increase photosynthesis, but it also occurs naturally in normal household lighting. Note: Increased carbon dioxide is beneficial to algae growth but may be harmful to fish and other aquatic life. 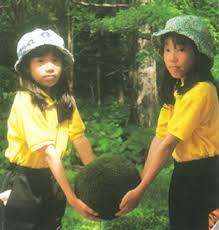 In its natural lake habitat, marimo grows best where dense salty spring water flows. 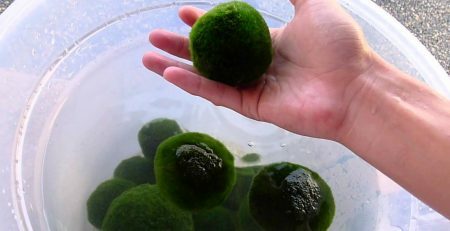 Typically, browning marimo will recover naturally, however, a small amount of salt can be added to water to refresh it. 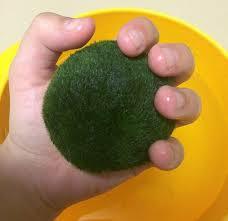 Periodically flipping your marimo will help it retain its shape. 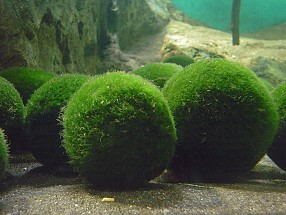 The marimo moss ball hails from Lake Zeller, Austria, and was first discovered by Dr. Anton E. Sauter in the 1820s. They have gone by many names. 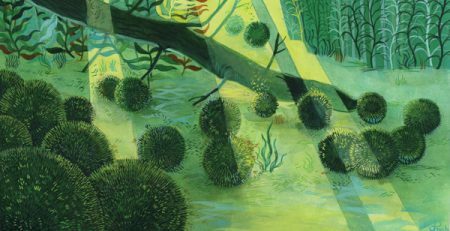 It wasn’t until 2002, after extensive DNA research that marimo moss balls returned to their original classification, Aegagropila linnaei, due to the presence of chitin in their cell walls. 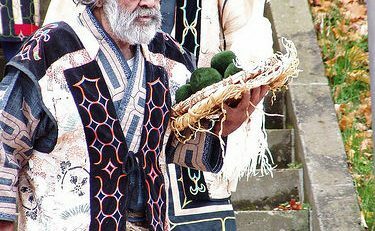 Marimo, which translates to ‘bouncy water ball,’ in Japanese has been a protected species there since the 1920s— they are considered a national treasure.